Just when you thought you’d seen the last of them, those dastardly fruit flies rear their annoying little heads. Last week, intent on exterminating the swarm of Drosophila melanogaster making themselves at home in my kitchen, I turned to the Internet and found a surprisingly simple solution. Literally. Fly me to the moon. Or at the least, into a Pyrex deathtrap. As instructed, I mixed a squirt of dish soap with water, topped it off with a float of apple cider vinegar and — “Everybody into the pool!” — it worked like a charm. Do try this at home! 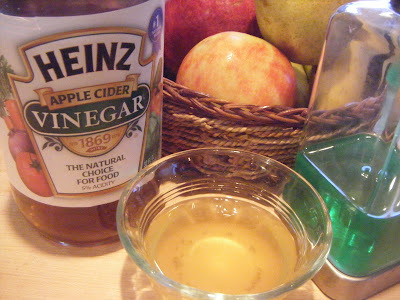 Dozens of fruit flies, drunk on vinegar and soap, find their final resting place. 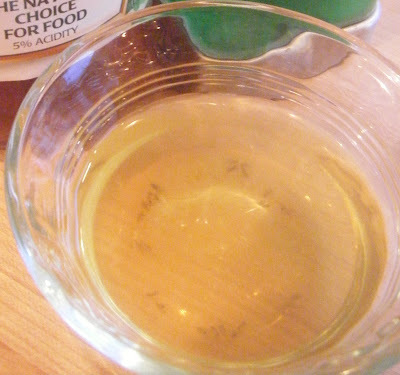 Anybody else have any great knock-’em-dead tricks for offing fruit flies?